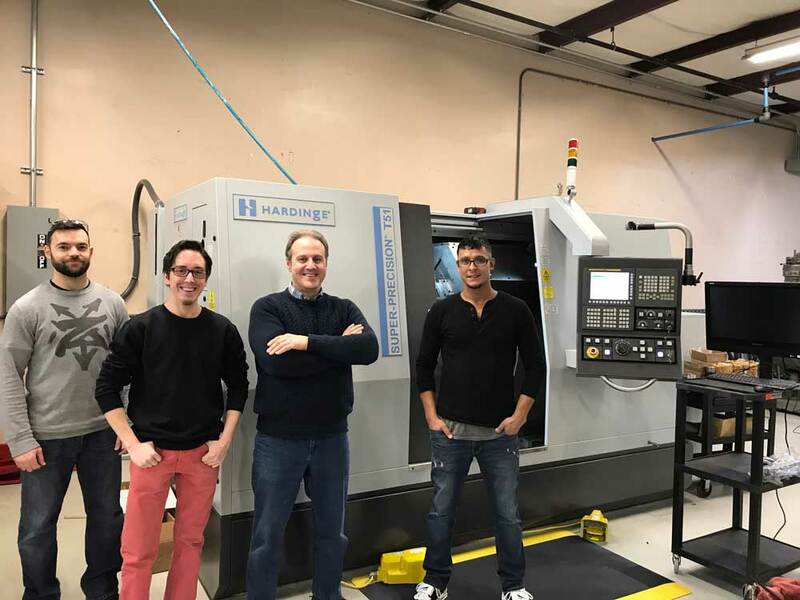 We have recently expanded our ultra precision machining capacity by adding a Hardinge T51 Super Precision Turning Center to our facility. 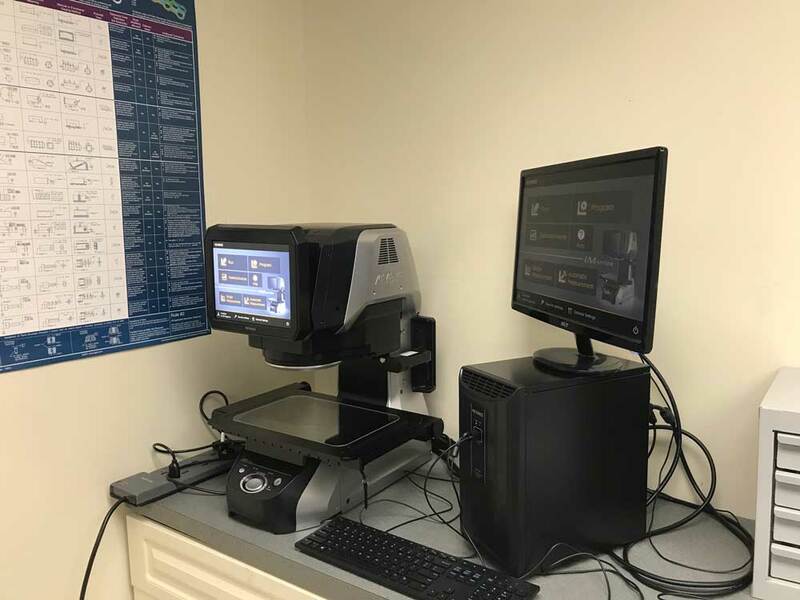 We have also recently introduced a Keyence IM 7030 into our quality control lab in support of our company-wide commitment to quality. If you took a walk down Main Street in Anytown, USA fifty years ago, you’d see places with names like “Smith Family Hardware” or “Jones & Sons Garage.” Today, most of those businesses have been replaced with the likes of Home Depot and Midas. The naïve response is that those mom and pop shops just couldn’t compete against the likes of Big Business, but that assumes family operations can’t be every bit as sophisticated as their corporate competitors. What happens when Mom and Pop both have MBAs? You get a company like Connecticut-based K4 Machining. The new business recently held an open house to demonstrate its capabilities and encourage millennials to engage in manufacturing. Led by Lou and Anna Leszczynski, the family decided to launch a new manufacturing business over the dinner table. The younger Leszczynskis—Michael, Monica, Jonnie and Joey—have all grown up around manufacturing and were excited to contribute to this new endeavor. Engineering.com had the opportunity to sit down with the whole Leszczynski clan to discuss their experiences, the skills gap, and working together as a family. Just to start off, Lou and Anna, could you tell us a little bit about your experience? Lou Leszczynski (President): Anna and I started in manufacturing over 30 years ago, and we've been involved in family-owned and operated businesses from the beginning. We started as a mom and pop with a few employees where we were actively engaged in all of the operating functions up to a business with 100+ employees. That’s different from K4, which is a small machine shop venture.Our previous experience had machining as well as a host of other metalworking functions within the industry. With us going down this road with our children, we wanted to downsize our approach and the experience. Have you been involved in a particular industry? Lou: Generally speaking, we've always been involved in job shopping. In essence, we do business with companies that have their own products, but who rely upon us to provide them with our services to manufacture their products. Our work is predominantly oriented around metal processing, where we would start off with raw materials in either bar, structural tube, sheet or plate form, and transform that into the final products based on customers’ blueprints. What changes have you seen in manufacturing over the last 30 years? Lou: Well, certainly technology has played a major portion in the transition of the industry. It's become much more exciting with the introduction of the computerization. Specifically, we've got CAD technology. That seems to be the buzzword in the industry today. Coupling that with the infusion and strong dependence upon computerization has made things very interesting. Is that part of what attracted your children to manufacturing? Lou: Yeah. Our children have always been involved in our day-to-day activities, from discussions around the dinner table to inviting them to our workplace to be exposed and experience our job functions and responsibilities; from starting as simple as sweeping the floors and filing paperwork and helping with clerical activities, eventually evolving into being allowed to have hands-on experience within the manufacturing processes. Michael Leszczynski (VP Manufacturing Operations): Growing up, I enjoyed many of the things that many kids do: I was a sports guy, I enjoyed my fair share of video games, I played a bit of guitar. At some point in my life, I realized that all of these activities I engaged in involved products that, in one way or another, had to be made or had to be manufactured. My draw, in the manufacturing sense, started with asking a lot of questions. "Well, how is this guitar made? How is this tennis racket made?" Gradually, as I began to see more and more of How It's Made episodes on TV, I started to gain a bit of an appreciation for what it took to make many of the products that I enjoyed. I took that learning and brought it up to the family business and I said, "Well, I'm really interested to see what we make. What do we actually produce?" A lot of my early work was the direct observation of machine operators, basically watching people as they took raw stock material of a square or a circle, and through some order of operations, turn it into something a bit more complicated with that. As I began to gain experience with manufacturing, I started to see exactly what was involved with that from the programming side of things as well as the intricate details of final assembly, and truly the care of work that was required with a lot of these procedures. That was probably the biggest portion of what drew my interest: the level of care and detail that some manufacturing takes. That and the fact that you can go from start to finish on a product, actually see something tangible that you end up with when all is said and done, and then realize that it goes on to something bigger and better when you talk about where the client actually uses that product. If you take all of what I've just said aggregate, that's really where my interest comes in, from the conception of the product, meaning "We have something that is a need of the customer, we have to make something," to the programming of that something and then ultimately, we have to package that final product and send it out, hopefully to the specifications of the customer. Being involved in every step of that is really where my interest has been. Monica Leszczynski (Quality Assurance Manager): I'd say really what it boils down to for me is a fascination with the transformation process of raw material to finished product. Very similar to what Michael said, I've had quite a bit of exposure to the manufacturing industry, having grown up in it as a child and walking around the manufacturing shop floor, seeing what machines do, at the push of a button sometimes. For me, I've really carried that fascination through for several years of my upbringing, and that's really what drives me today: to see something in raw material form transform, sometimes at the push of a button. You all must have been fairly excited at the prospect of starting a family manufacturing business. Anna Leszczynski (VP of Finance and Administration): Lou and I have been doing this for so long, we got to a point in our lives where we were watching our children completing graduate school: Monica will finish in December, Jonathan is in college. So, instead of us just saying, "This is what we've done. We've done it well. Here is an established company," as we saw more and more interest with the kids, we thought this was the prime time for us, and an opportunity arose with purchasing what is now K4 Machining, to say, "Let's start this from scratch and show you everything you need to know and mentor you," and let them take it from here where they choose.With the knowledge that we have with these kids, it's an incredible process right now. We're in the third month of doing this, and it's just been probably one of the best decisions we've made. Lou: There have been countless meetings, informal get-togethers and discussions around the dinner table. Certainly there has always been a pull from our kids to be involved in manufacturing. After some initial discussions—what my wife has mentioned already—we had one of two options. We could have taken the road of saying, "This is how we did it. This is how you should do it," or we could say, "Hey guys, if you really want to learn and be flexible and prepared for the uncertainty, given today's business culture and business, let’s do it together." You can't take an approach that's going to be a handbook approach where, "This is how you did it," and you would think that that should work in the future. You need to develop a sense of adaptability, which is something that needs to be learned over time. We didn't think the best way to pass that on to our kids was going to be in the sense of just preaching. We felt that the best way to have them be engaged in this process was on their own. Put them on the front lines, and then have both myself and my wife act as mentors and/or consultants on the sidelines. That way they can experience situations, act instinctively on what they feel they should do, given those circumstances at that point, and then have us help them learn from the experience. Anna:I’m a super mom! [laughs] Seriously though, there is a fourth child. Our youngest is going to be a senior in high school, and he’s currently pursuing colleges with a focus on entrepreneurship and business administration, which I think will round out the clan. I think the beauty of it with our children is that they've never been mandated to do a certain thing or participate unwillingly. I think Lou and I have been very open in our thought process in raising our children that the sky's the limit and there's always options. It’s evolved amazingly. I think we could not have even formulated this if we wanted to, ideally. I think they're great individuals with a lot of potential, and where we are right now, I'd be amazed where we'll be in 10 years.Being there to answer questions and support them through the bumps in the road—I think that's the best thing you can do as a parent, and so we're just no longer in the driver's seat. We're taking a back seat approach and seeing where that goes. They have a lot of tools that they're working with, a great foundation in education, and the drive, the determination to be successful. I think that's where we're just going nurture that. Lou: I guess I started the trend being the engineer in the family, and then I ended up getting an MBA. Likewise, my wife perfectly complemented my roles by getting a liberal arts degree in college, and also going with a master’s in business administration. With both of us having an MBA, it solidified our understanding of the basics needed to be successful in business.Passing that on to our kids indirectly through our conversations has been an amazing experience. Anna: If you get the opportunity to personally meet our children and Lou, they're not the standard engineers. Each of them has a mindset that is so different from one another, and they have a niche: they excel in a different area, whether that be engineering, and everyone brings something totally different to the table, and everyone has their own responsibilities. We all blend as a group. I don't think we can do this individually. We're a really nice, cohesive group, and that's by design because we're a family. That we actually enjoy being with one another continually has been a real plus. There are points of view sometimes that only one of us will see, so it's really been a nice dynamic. It makes a mom proud. To the Younger Leszczynskis: What advice would you give to someone your age who’s considering a career in manufacturing? 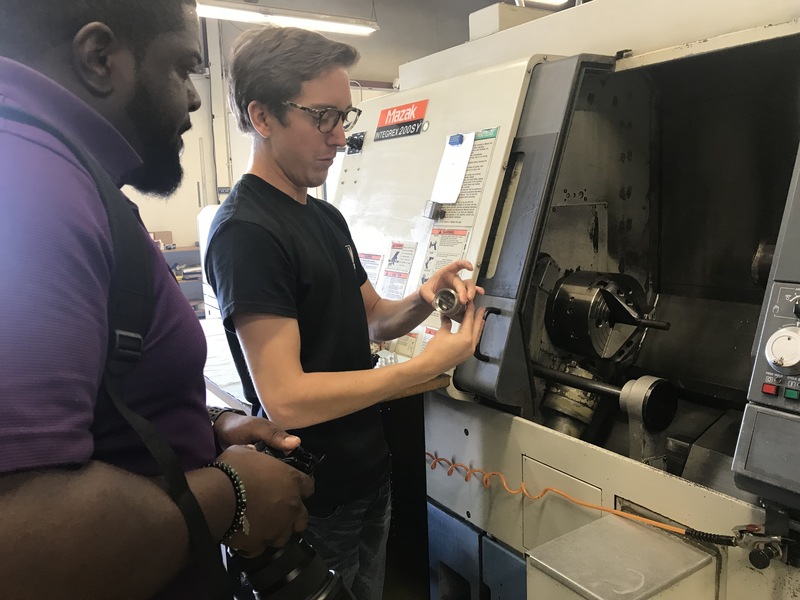 Jonathan Leszczynski (Machine Operator): I would go for an internship, because there's such a broad spectrum of different opportunities that you could have in a manufacturing career. If you were to go and be hands on with an internship, I can almost guarantee you that you'll enjoy the career and you'll choose it as a career path, as I did this summer. I was a little on the fence about working as a machine operator, going for my bachelor’s degree in engineering, but as I took the internship in the summer, I realized that, yes, this certainly is that career path I want to take.Being hands on and taking a raw material and then seeing what the final product looked like was really, really interesting for me. Monica: To jump off of what Jonnie said, there are a lot of opportunities for different applications in the field of manufacturing and the field of engineering as a whole. I think with all of the technological advancements that are happening, the future of manufacturing is very bright and there's certainly a lot of opportunity. I think now is a more excellent time than ever to get involved in the industry. There's really a sense of fulfillment, at least speaking from the three of us younger Leszczynskis. Michael: The only thing I would add, for someone that maybe on the fence with manufacturing: keep an open mind. I would say that in manufacturing, there's a lot to do, and many of the things that you can contribute towards don't always necessarily have to have a technical track associated with them. There's a fair share of planning and design work that's also incorporated in manufacturing. For somebody that may have more of an interest on the art or design side, there are avenues in manufacturing there, too. Lou: If you don’t mind a comment from one of the older Leszczynskis [laughs], as a dad, a coach and a mentor, there’s no question that I continue to have an endless amount of excitement for manufacturing. Anna and I continue to have this conviction that manufacturing will provide countless amounts of opportunities for the younger generation in regard to fulfillment and rewards. 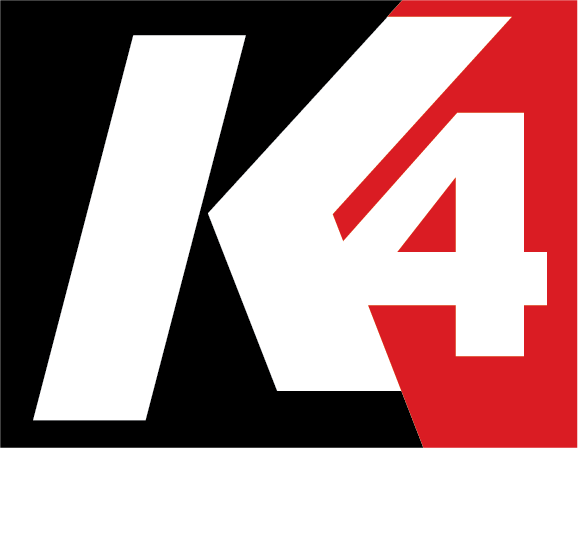 Is there anything that we haven’t discussed that you think our audience would be interested to learn about K4? Lou: Well, we're learning to be an up and coming entity that's going to be powered by millennials. Anna:And to get the interest and the enthusiasm for manufacturing, it’s not a dying industry, just to really get that word out. It is much different than what someone's impression of it would be, so take a serious look at it. The full article, as featured on Engineering.com, can also be found here. 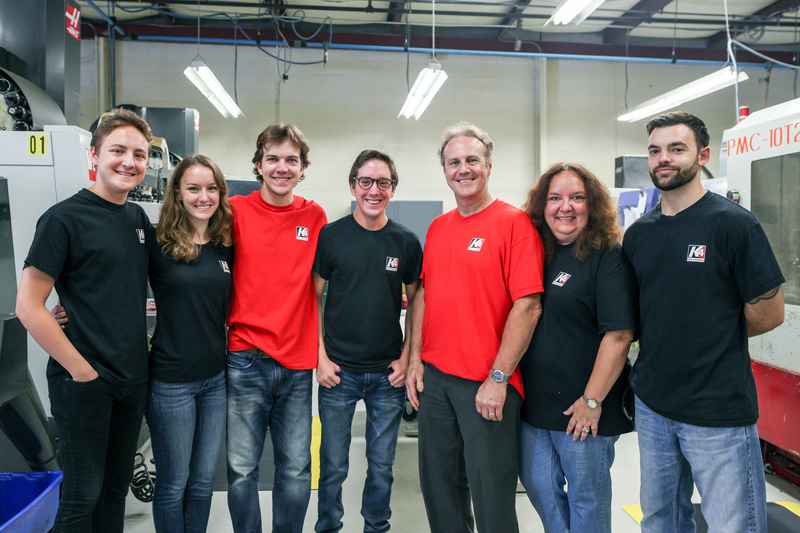 K4 Machining is a family endeavor, led by Lou and Anna Leszczynski, who have 30+ years of experience in manufacturing in Connecticut. Their adult children also work in the business. 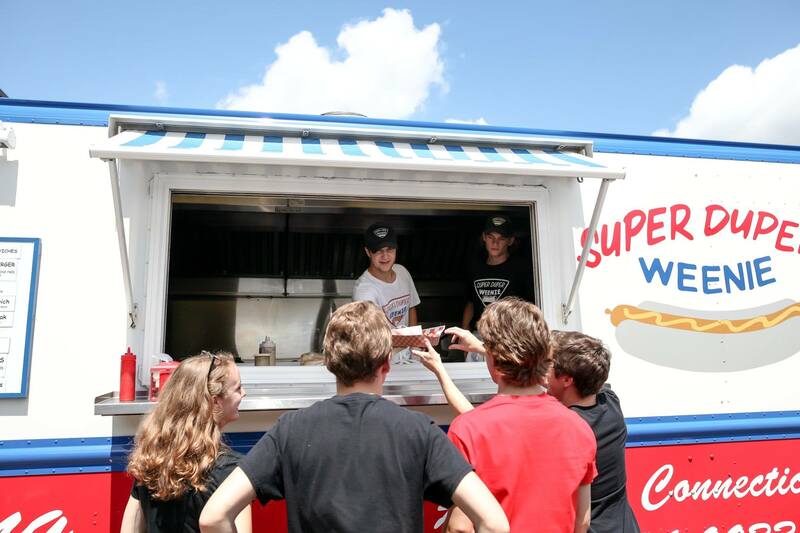 When Lou and Anna began discussing a change over many conversations around the dinner table they decided as a family to launch a manufacturing business with the goal of growing manufacturing in Connecticut by engaging millennials in the business. The younger Leszczynskis grew up around manufacturing and loved the idea of carrying on the legacy of their parents. “We are excited to do this as a family. Anna and I have been working in the industry our entire careers, and now, we want to do something that gets millennials excited about manufacturing,” explained Lou Leszczynski. Their oldest son, Michael, holds a Master of Engineering with concentrations in Manufacturing and Industrial Engineering from Cornell University, and a B.S. in Industrial and Systems Engineering from Rensselaer Polytechnic Institute. While in college, he interned in a family-owned sheet metal fabrication facility where he was able to significantly reduce set-up times while improving operator safety in the process. Daughter, Monica, holds a B.S. in Mechanical Engineering and is completing her M.B.A., both from Rensselaer Polytechnic Institute. Monica also has experience working in the manufacturing industry, where her efforts have been focused on developing and implementing quality management systems. Son, Jonnie, is pursuing a degree in Mechanical Engineering at Rensselaer Polytechnic Institute and son, Joey, is currently a student at Chase Collegiate School. K4 Machining specializes in the competitively-priced precision machining of metals and plastics utilizing CNC milling, turning, and mill/turn multitasking capabilities to efficiently produce simple and complex parts. It is a family-run business founded on deep industry experience and a brain trust of the latest best practices from Cornell University and Rensselaer Polytechnic Institute.